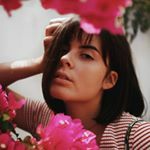 I'm Márcia, a 19 year old portuguese girl with one dream, travel the world with my camera and capture the way I see it. I love fashion, art and photography and when I mix the three, everything is much better! Demographic data for @marciasofiams' audience is available for free to influence.co users.